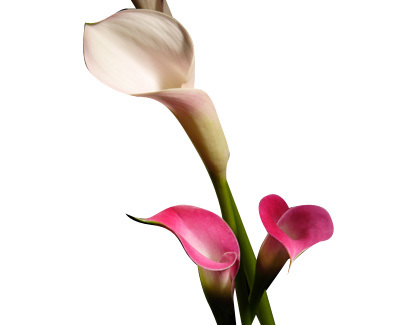 Mini Calla Lilies are an extravagant beauty. The bloom is supported by a long slender stem and opens exotically to form a trumpet shape. Mini Calla's are available in various colours which can stand on their own or added to your wedding bouquets or floral arrangements. Get the farm fresh Mini Callas delivered to your doorstep. Bulk Rates Apply.